Curcumin can protect patients who are at risk of developing cardiovascular disease. The study published last year in Nutrition Journal covered the benefits of taking Curcumin for cardiovascular health. Of the 1,566 studies identified from numerous electronic databases, researchers managed to trim them down to seven randomized controlled trials with a total of 649 participants. The Turmeric extract was found to potentially reduce the serum total cholesterol levels of patients who had a high likelihood of cardiovascular disease. The researchers acknowledged that its efficacy has yet to be fully confirmed. Two independent investigators screened the studies, extracting important data and then assessing the risk of bias. The electronic databases were also combed through for English-language clinical studies focusing on Turmeric, Curcumin, cholesterol, triglycerides and many other synonymous words. The beneficial effects were noted by the studies that included participants with metabolic syndrome, particularly on their serum triglyceride levels. 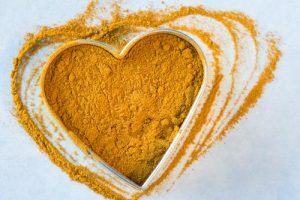 In short, the results show that Curcumin has many promising benefits for promoting good cardiovascular health and avoiding the risk of cardiovascular disease. The problem with Curcumin however is that it’s not so easily absorbed into the body. Poor bioavailability of Curcumin means that its absorption is greatly limited. 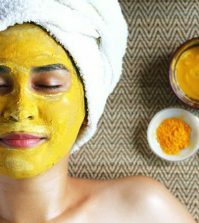 Investigators have concluded that Curcumin formulas need to increase their Curcumin bioavailability to reap the most benefits. There is one solution however. Meriva® phytosome technology can improve the bioavailability of Curcumin by attaching it to a phospholipid such as soy lecithin. Meriva® is a patented delivery form of Curcumin and soy lecithin that can improve bioavailability by nearly thirty fold when compared with traditional Curcumin. The improved oral bioavailability means that Curcumin can be more readily absorbed into the bloodstream for maximum effectiveness – and this is essential for improving cardiovascular health. 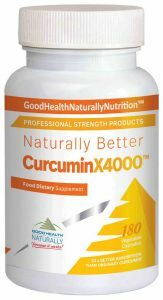 Curcuminx4000™ – Each capsule of CurcuminX4000™ contains 200mg of highly effective Curcumin Phytosome bound to Meriva® technology. A recent study showed an increase in utilization up to 45X compared to ordinary Curcumin 95%. Curcumin’s potent antioxidant abilities offer the potential for numerous health benefits. Research suggests Curcumin’s antioxidant activity and support of the body’s normal inflammatory response. Available from Good Health Naturally. Why Curcumin Is Better Than Ibuprofen…And Women Absorb It Faster!